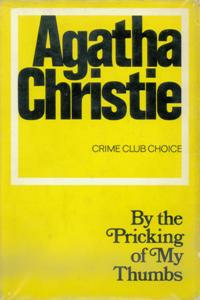 By The Pricking of My Thumbs is a work of detective fiction by Agatha Christie and first published in the UK by the Collins Crime Club in November 1968 and in the US by Dodd, Mead and Company later in the same year. It features her detectives Tommy and Tuppence Beresford. 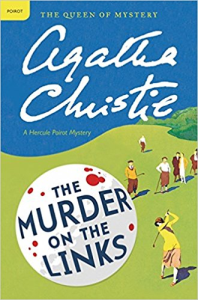 Tommy and Tuppence were unusual in that they aged from novel to novel unlike Miss Marple and Hercule Poirot, whose age remained more or less the same from Christie's first novels in the 1920s to the last in the 1970s. 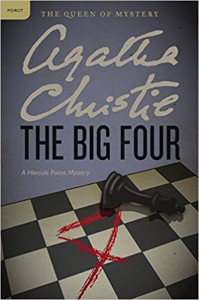 They were youthful in two Christie books written in the 1920s, middle-aged in a World War II spy novel, and elderly in this work.